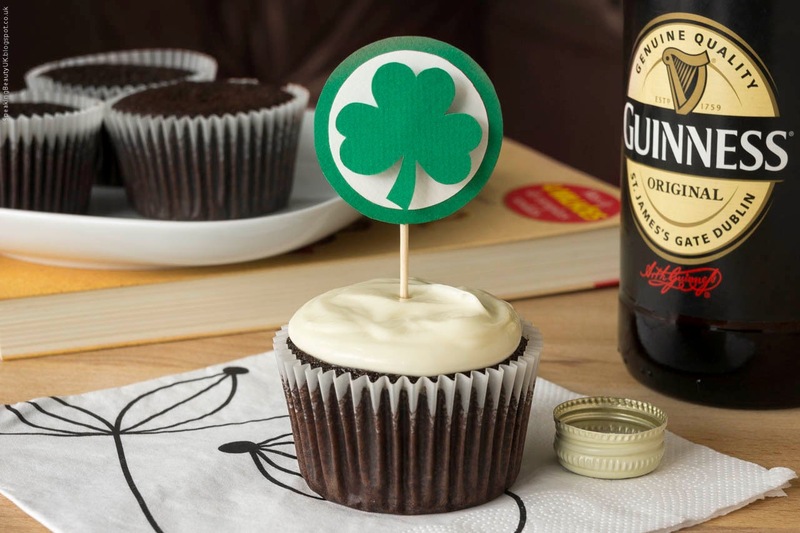 With St. Patrick's Day coming, I thought I'd share with you this delicious Chocolate Guinness Cupcake recipe. This is a slight adaptation of a Nigella Lawson's recipe, which I found a while back and completely fell in love with. 1. Start by adding the Guinness drink to a sauce pan and add the butter. Heat it at a low temperature until the butter is completely melted. After that, whisk in the cocoa powder and the caster sugar. Stir and when everything is well blended, remove the pan from the hob. 2. Beat the sour cream, the egg and the vanilla extract in a separate bowl and add it to the beery pan mixture. 3. Lastly, whisk in the flour and the bicarbonate of soda. Pre heat the oven to 180°C (160°C fan oven) and let the cupcakes bake for 18-20 minutes. 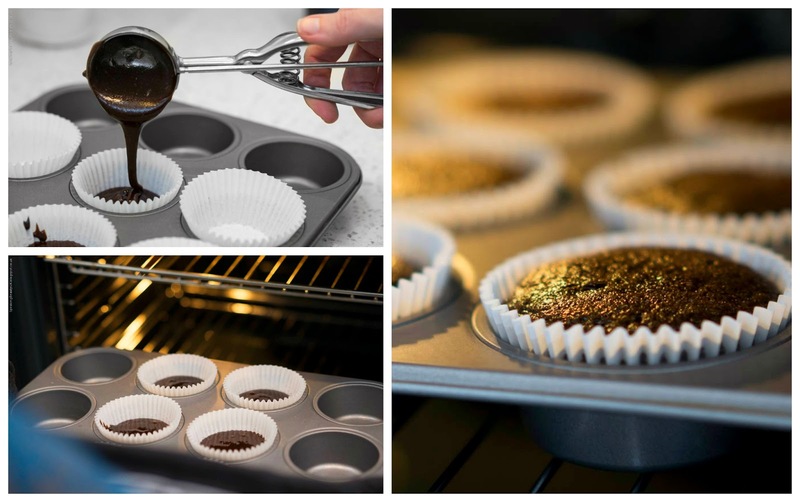 I personally prefer to use muffin cases because they are bigger but you can use cupcake cases, if preferred. Once ready, leave them to cool for about 10 minutes and prepare the topping. Beat the cream cheese until it's smooth. Sieve in the icing sugar and mix both. Add the double / whipping cream and mix once again.To finish off, spread it on top of the cakes. The idea is to make them resemble a Guinness pint. I love this recipe! And I think it's amazing for any time of the year, really.